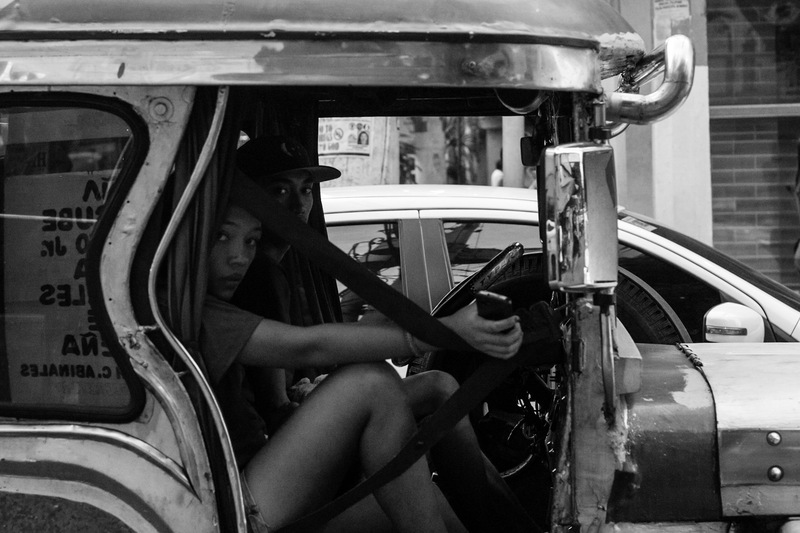 A jeepney driver and his partner plying the streets of Ermita, Manila. Taking that late afternoon stroll looking out for Jeepney scenes and I run into this young couple. It was as if the entire scene unfolded in slow motion as they passed me, their eyes in sync looking at the lens. I just had to take the shot. Filed under Street Photography. Tagged as APS-C, Black and white, Buhay Jeepney, Commute, Ermita, Lightroom for mobile, Manila, SEL50F18, Sony, Sony A6000, Street Photography, Streets of Manila.